Just before the start of a new school year, communities are again helping out in preparing the classrooms. Of course, some politicians take this as photo opportunities. After all, being photographed while applying fresh paint on a wall may bring the message that something is being done to help basic education in the Philippines. 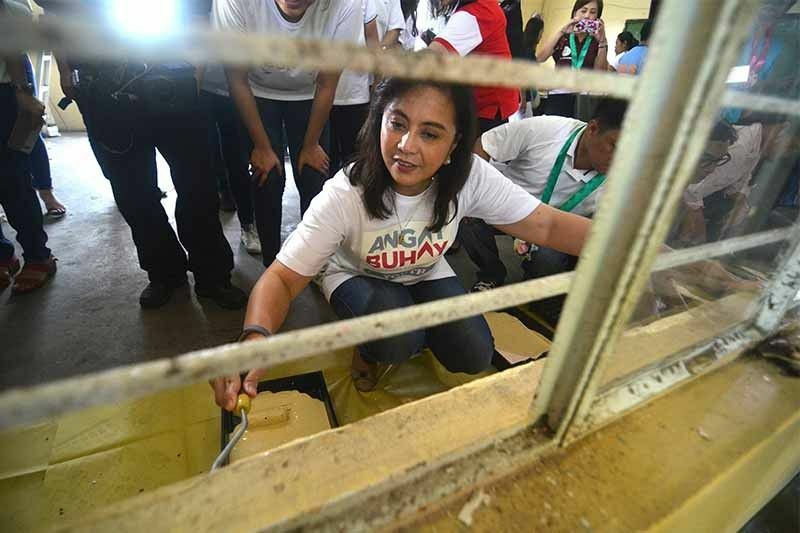 Yes, walls with fresh paint may seem inviting but the challenges faced by students in schools in the Philippines should be addressed with solutions that actually understand and address their problems. The prevalence of poverty, the fact that a significant number of parents are working overseas, and the various tracks now available for senior high school should make it obvious that students in schools need a individual who would offer a listening ear and provide guidance. Students in the Philippines, like students in other countries, need counseling. Yet, the country remains short in the number of guidance counselors. Earlier this year, ABS-CBN News reported, "Quezon City, for example, has 46 public high schools with a student population of almost 146,000. 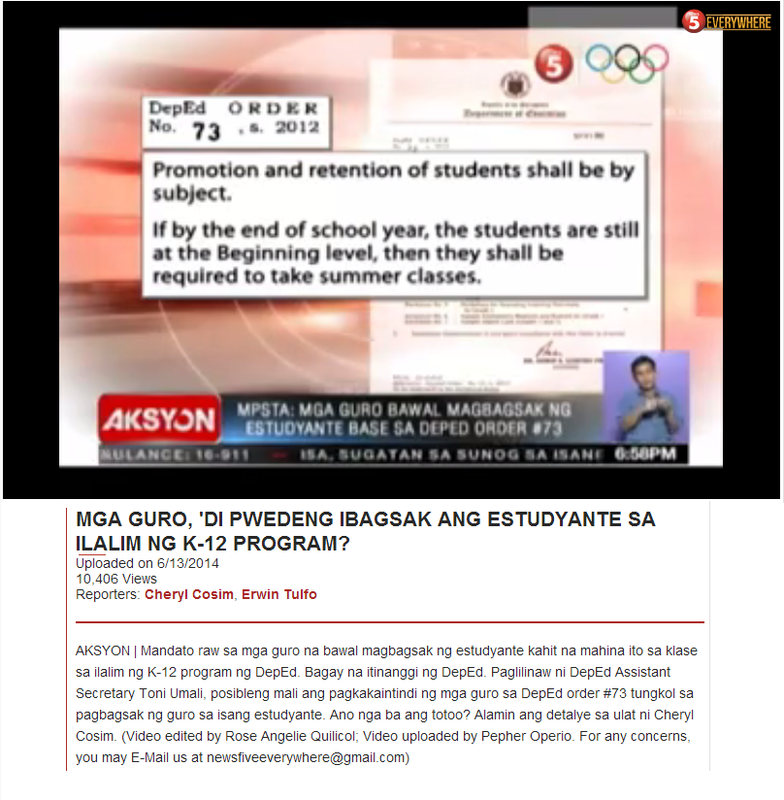 Should DepEd’s 1:500 staffing standard be followed, there should be 290 guidance counselor positions. But for schoolyear 2016-17, only 25 people were hired as guidance counselors by the Quezon City Schools Division Office." 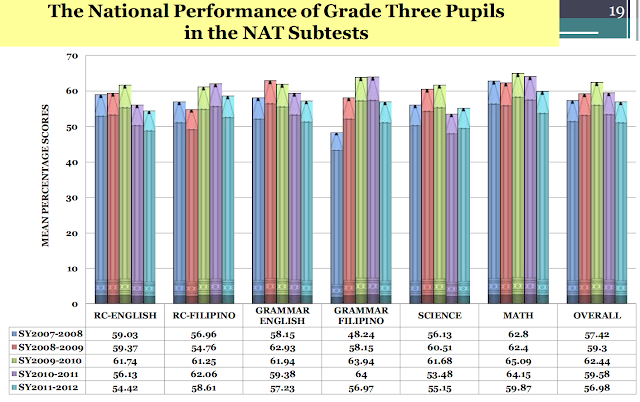 Thus, in schools in Quezon City, there is only one guidance counselor per 5000 students. Sarah Gonser recently wrote an article in the Hechinger Report. The piece, "School counselors keep kids on track. Why are they first to be cut? ", brings to our attention the importance of guidance counselors especially in high schools. There is a sense of urgency in the article as Gonser cites that in the United States the the current average number of 482 students per guidance counselor is too high, almost twice what is recommended by the American School Counselor Association (ASCA), 250 students to 1 counselor. According to Philippine Labor and Employment Secretary Rosalinda D. Baldoz, there are 49 guidance counselor networks with 1,739 members (Department of Labor and Employment, 2011). Twenty-three universities and colleges offer graduate studies in guidance and counseling, counseling/clinical psychology, and counselor education, and a handful of institutes offer degrees in pastoral counseling. Most programs offer master’s degrees and a few offer doctoral degrees, most of which follow the practitioner–scientist model.